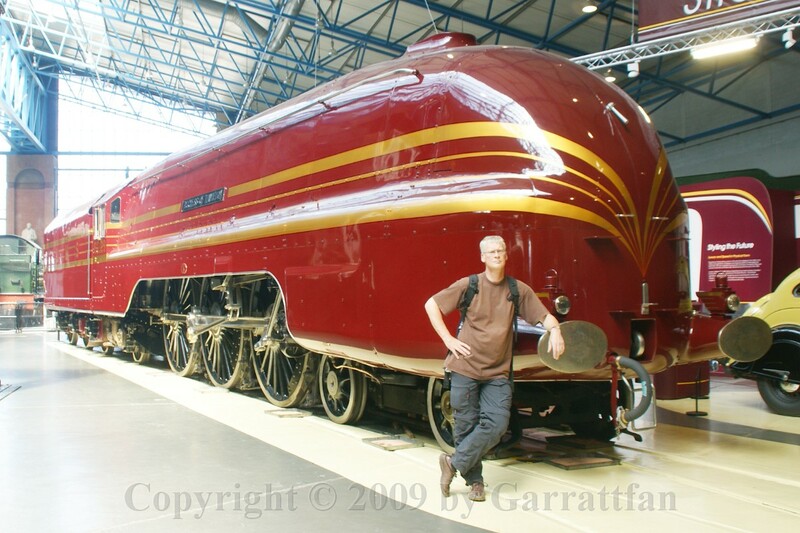 In our 2009 UK roundtrip I had incorporated three rail related visits: to Swindon ex-GWR works, to the Welsh Highland Railway and to the National Railway museum in York. 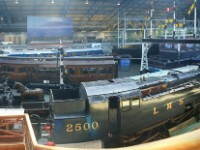 Although in the end much more had happened ( I have made no less than nine photo accounts on rail related events during this roundtrip) June 24th was finally the day on which the third of the three planned visits took place: the National railway Museum in York. 1 So many steam locomotives in a NO SMOKING area!! That's why they were all static!! 32 The cab. This a composition of nine photos. 37 Even after seventy year this design still creates a "wow", whether you like it or not. Some people regard it as plain ugly, well they should take a good look at the DMU's and EMU's wasting the view these days. 38 The builder's plate probably couldn't be more austere. Nothing more to say, let the design speak for itself. 45 The loco was cetner piece of a small exhibition about the streamlining hype in the thirties. Everything got streamlined then, even the newly invented vacuum cleaners. 46 Did it really matter? Yes and no. Fully encapsulated locomotives proved to be more fuel efficient than others, or for that matter, faster if the rest of the engine allowed it. 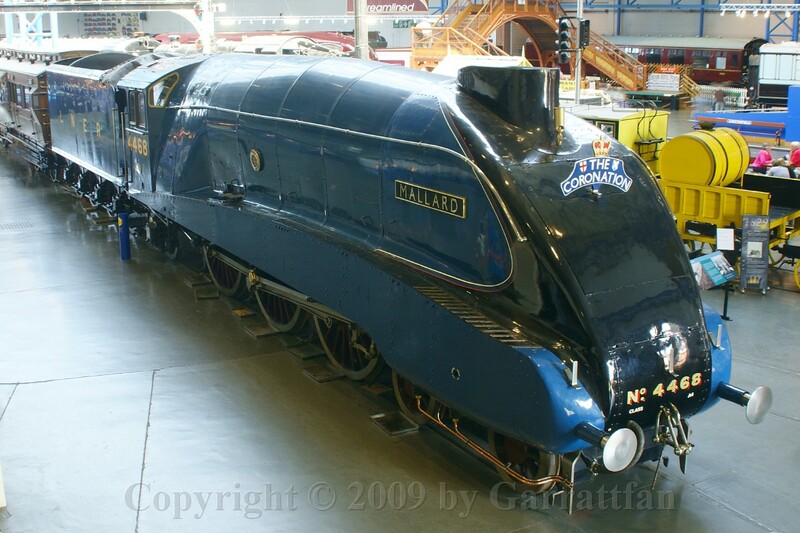 It is no coincidence that all pretenders to the world speed record, the British A4 Mallard, the German 05 002 and the American Hiawatha, where fully or semi streamlined loco's. Trial runs in Germany extensively proved though that streamlining the locomotive only made sense when the following train was also seriously streamlined, a sacrifice most operators were not prepared to make. The streamline casing also caused its own set of problems and complications. It made the engine heavier, endangering the maximum axle load. The rrestricted airflow around cylinders and bearing caused heat problems. Ease of maintenance was also impaired. 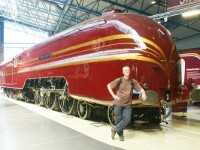 Although maybe in itself a good idea streamlining was to be short lived. 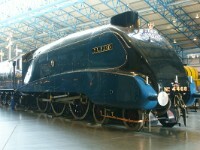 The outbreak of WWII put an end to high speed travel and most streamlined loco were pealed off for ease of maintenance. After the war the momentum for high speed steam hauled travel was over, with exception of the USA. 68 The warehouse, topped up with collectibles in a rather unorderly fashion. 71 Llanfairpwllgwyngyllgogerychwyrndrobwllllantysiliogogogoch is the longest stationname in the world. This Welsh town actually exists and its name translates as "The church of St. Mary in the hollow of white hazel trees near the rapid whirlpool by St. Tysilio's of the red cave". The village's long name cannot be considered an authentic Welsh-language toponym. It was artificially contrived in the 1860s to bestow upon the station the honour of having the longest name of any railway station in the United Kingdom: an early example of a publicity stunt. 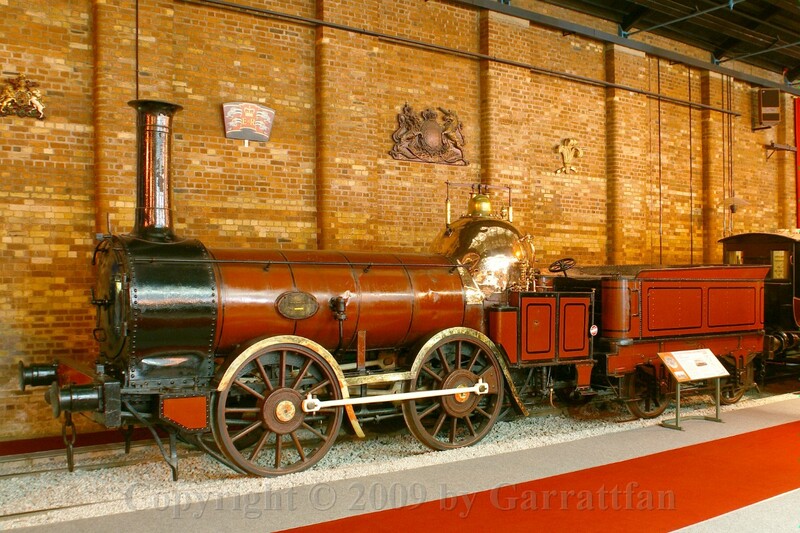 77 A live steam model of one of the largest Beyer Garratts of the world. About 1973, William Heller made a start building a 7 1/4" MOUNT KENYA. 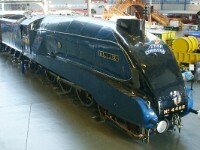 William completed both chassis but then a move to Herefordshire meant that he no longer had the facilities to complete the loco. It was passed to Milner Engineering to complete. Once finished and returned to William, the loco was put in storage for some time as he did not have the facilities to run it. 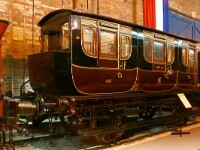 After various changes in ownership it was sold to the National Railway Museum in 1985. 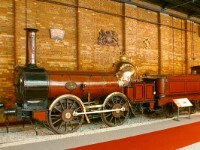 MOUNT KENYA is still part of the National Railway Museum's collection and has undergone a major rebuild in recent years. MOUNT KENYA is oil fired and air braked. Boiler pressure 120 psi. Length 19’6”. Weight 2.5 tons. 79 After the visit to the warehouse I returned to the great hall to see the rest of the exhibits. This is Agenoria, built in 1829. It worked at the Shutt End Colliery, near Birmingham, for over 35 years. It was built to move coal trucks from mine workings to canal and river navigations and surrounding Iron foundries. 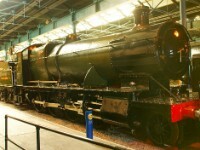 Although a contemporary of Rocket, Agenoria used the established steam technology of the first generation of steam locomotives. 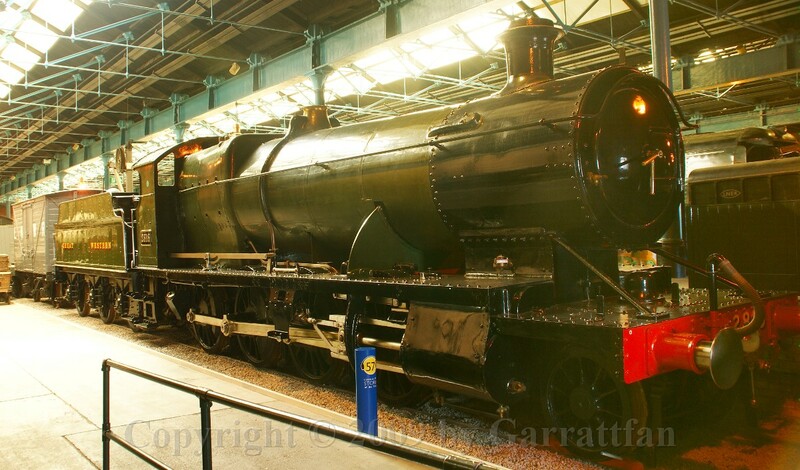 It has one large single boiler tube to transfer heat from the fire to the water, and a system of beams to control the valves that let steam into and out of the cylinders and drive the locomotive. The system of beams led the local villagers to nickname the locomotive 'the grasshopper'. 80 with one large chimney!! 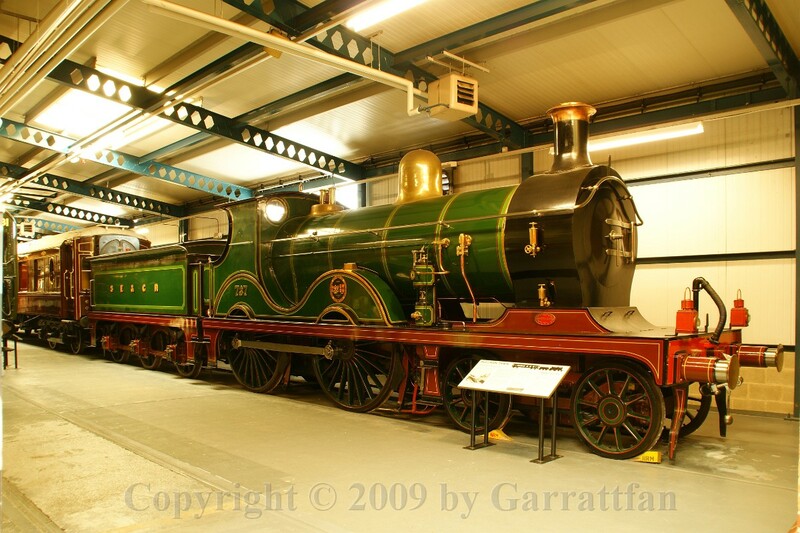 84 "Livingston Thompson" was the second locomotive to be built by the Festiniog Railway Company in its own workshops at Boston Lodge and the fourth FR Double Fairlie. It was built in 1886 to the same basic design that Percy Spooner had produced for Merddin Emrys, with the improvement of larger water tanks. Although satisfyingly operating when new, the loco bears a history of serious maintenance and repairs during its nevertheless long operational life until 1946 when operations at the FR ceased. After the revitalisation of the line it ran for many more years. 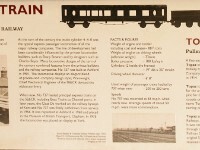 In 1971, the locomotive was withdrawn. Plans to rebuild the loco to a more modern style had already been developed and it was proposed to scrap the bodywork and retain all the useful components, including the bogies, for reuse. 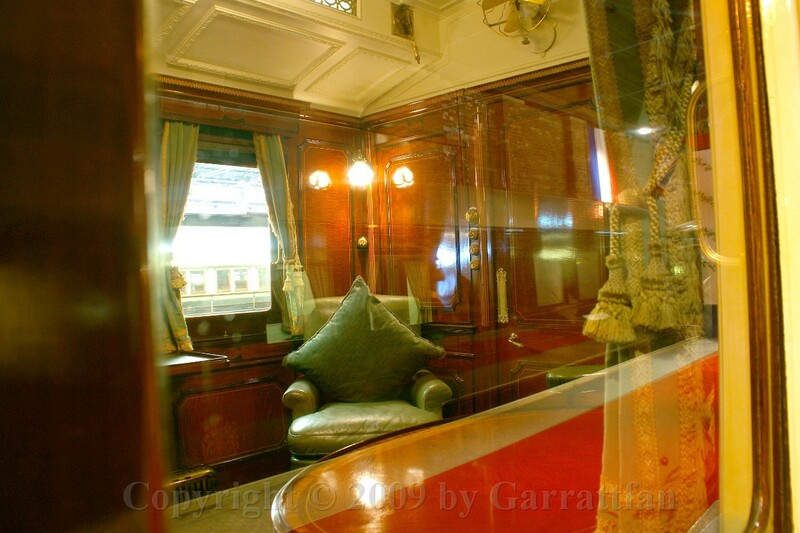 Appalled by the plan to destroy the last remaining Victorian-outline double Fairlie a group raised sufficient money to preserve the last example of a Spooner Fairlie. 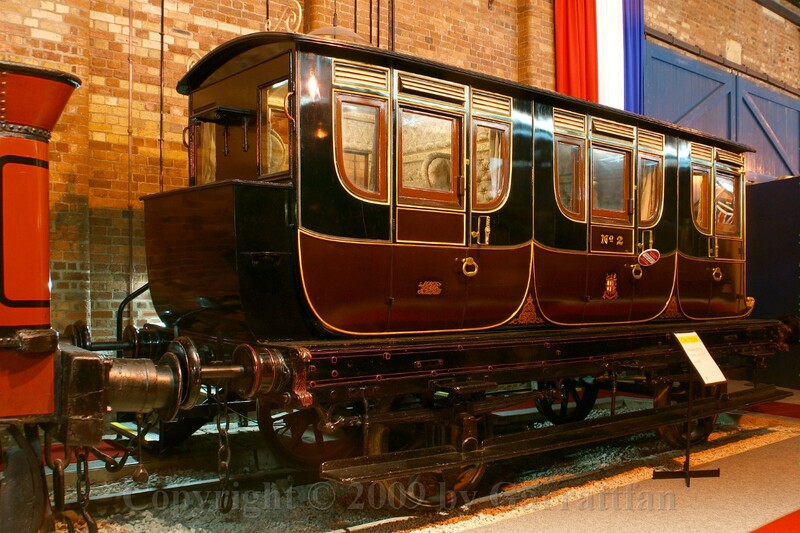 In 1988 restoration of the derelict body, to a condition fit for display in a museum, was completed by Winson Engineering of Penrhyndeudraeth, using a pair of bogies no longer fit for revenue service. In October of that year the locomotive, hauled by its older brother Merddin Emrys enjoyed a last trip up the line from Porthmadog to Tan-y-Bwlch where a ceremony to hand it over, on long term loan, to the National Railway Museum, was performed. 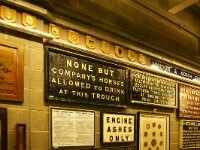 Since then LT has continued his FR service by advertising the railway to visitors to the NRM. 92 A loco with the rare axle arrangement, for which for some mysterious reason only British designers could find reason, 0-4-2, No.214, Gladstone was the prototype of the B1 class and was a development of the Richmond class. It left Brighton Erecting Shops at the end of December 1882 in the hands of driver William Love. After successfully completing trials over the next few months, the rest of the original order of six engines was completed. 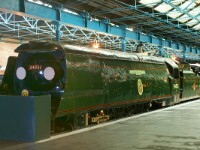 The final class consisted of 36 engines which managed the LB&SCR's express traffic for many years. When it was withdrawn for preservation in April 1927 it had covered 1,346,918 miles. 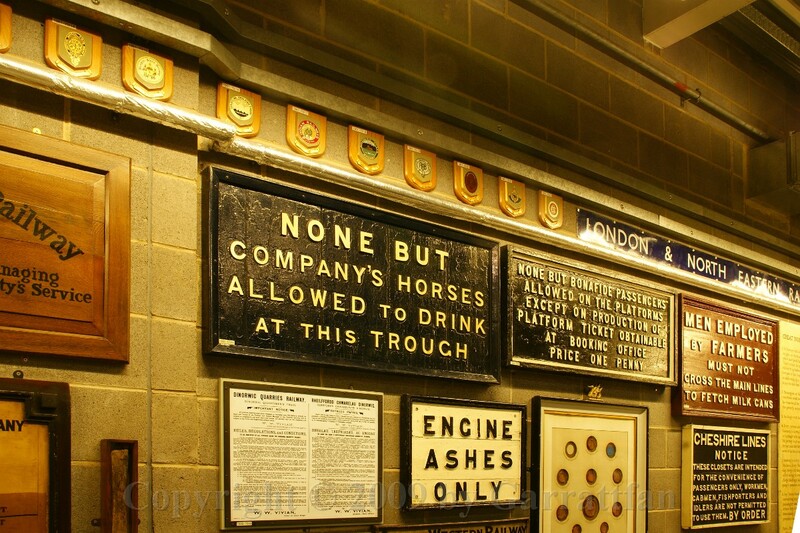 96 All were named after politicians, men associated with the railway, or places served by the railway. 97 The 214 in all it abonndant colouring. 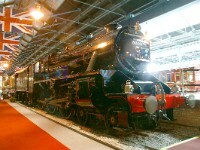 The first, 6000 King George V, appeared in 1927. 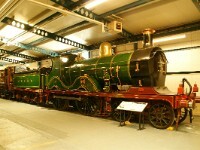 With the exception of one Pacific (The Great Bear), they were the largest locomotives the GWR built. They were engines to be reckoned with, powering the Western Region's crack expresses like the Cornish Riviera Limited up until the end of regular steam hauled express services on the WR. 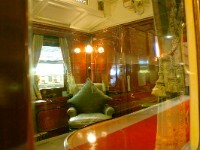 The whole of the class was modified during the fifties to encompass improvements that had been trialled on various locomotives. As a result, their final years in British Railways ownership saw the very best of their performances, particularly on the fearsome South Devon banks at Dainton, Rattery and Hemerdon. They were all withdrawn by 1962, replaced by less powerful but more widely available diesel-hydraulics. 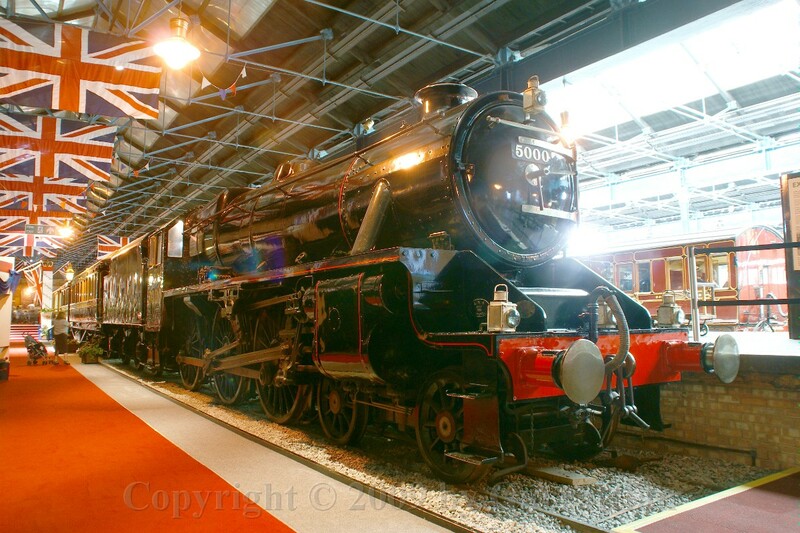 The NRM claims to be the largest railway museum of the world. Maybe, maybe. It depends on what dimension you take as a reference. If you count the total number of exhibits under custody of the NRM this claim may well be jusitfied. But remember that this huge collection is widely spread over the country and by no means all present in York. 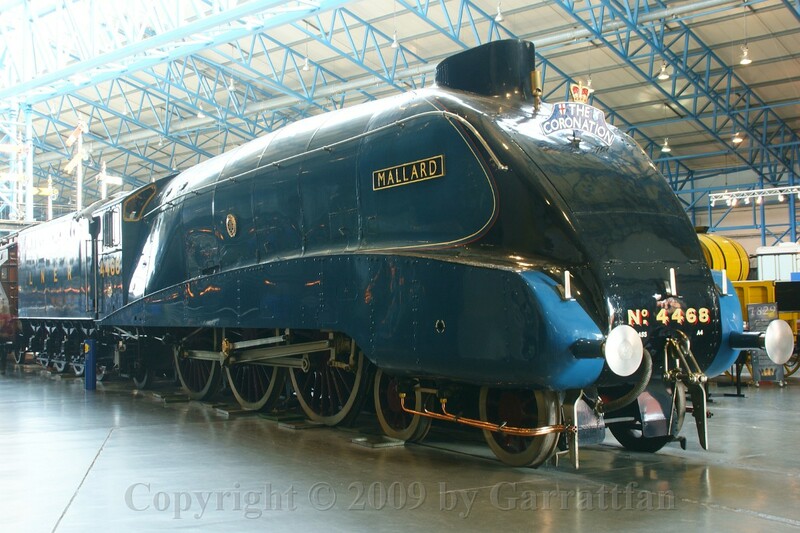 If you take teh "number of substantial exhibits present in York" as a reference or "square meters of exhibition space", NRM is to my humble opinion by no means larger than the Railway Museum in Mulhouse. Nevertheless I was veryy happy with my visit. 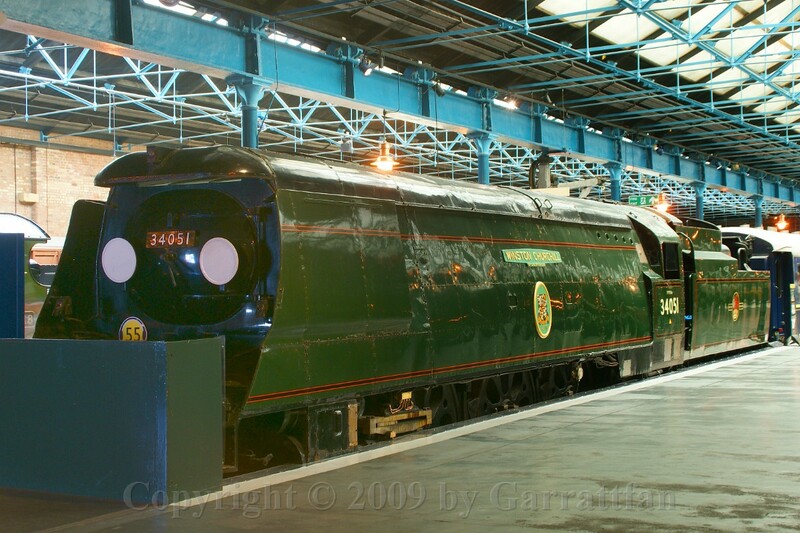 Seeing the A4 Mallard and the Duchess was no less than spectacular. And there was so much else to see. A mustsee for every steamfan! !